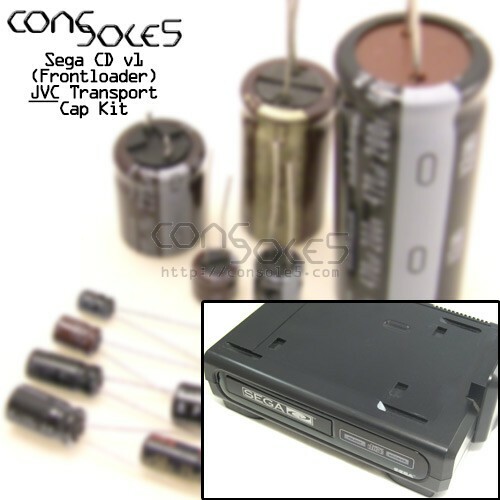 This kit contains all miniature and full-size electrolytic capacitors for the Sega CD frontloading system MAIN, SUB and JVC CD transport PCBs. This kit substitutes miniature leaded capacitors for the Main PCB surface mount caps. A kit with direct fit Surface Mount caps is also available.